Photography is more fun with models. It just is. Get yourself a model who knows a bit about posing technique, where to look, how to draw on emotions and express them, and it’s magic. The cool thing is, most people can do this with a little bit of direction from the photographer, if they know what they are doing and the subject is willing! Jessica didn’t really need the direction though, she knows what she is doing and has a future in this. Nikon SB-900 with the SB-III small softbox, triggered by the venerable pocket wizards. D700 with the 24-70, sometimes the 70-200, and just a few times the micro 105. I’m finding the 105 to be really beautiful for portraits. 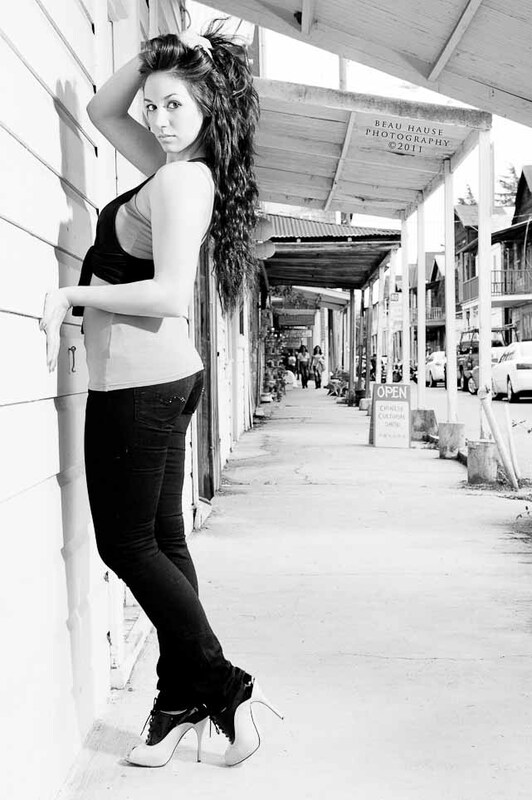 Shot in Locke CA, which is a great location if you have never shot there before. Lots of great backgrounds and little spots to shoot. © Beau Hause Photography | Sacramento CA. 95835|ProPhoto Photographer Blog by NetRivet, Inc.